Why are some consultants more effective than others? There are thousands of consultants out there. Many are good and some are not so good. There are many traits you should look for when hiring a consultant. Here are some common traits you will find in good consultants. A good consultant will always return your phone calls and email messages in a timely manner. Even if he is too busy to take your call, he will leave you a short message telling you that he will get back to you as soon as he is available. He will never leave your email or phone calls unanswered. In today’s high tech world of instant communication, there is simply no excuse whatsoever for any consultant to ignore your calls or emails. Doing so is a tell-tale sign of a non-responsive consultant and it also shows a lack of professionalism and respect. When a first rate consultant firm submits its bid to you promising to assign a senior staff to your project, it will not replace the experienced project manager with a junior staff so the recent college graduate can learn on the job at your expense. Reputable professional firms simply do not engage in bait-and-switch. You should always insist that any staff changes be made only with your prior written consent. A reputable consulting firm will not bill you extra for qualify control of its work products. There are some large multi-national consulting firms that bill their clients extra hours for “senior review” of their products. So you may find yourself paying $250 an hour for a highly experienced and qualified project manager and then being charged $400 an hour for a vice president to “review” his report. Quality control is the life blood of a firm’s reputation and should be built into the firm’s overhead. In other words, the $250 hour rate should have included the cost of internal peer review and there should not be extra charges for quality control. Unfortunately this is a common practice at many large consulting firms – firms that have many vice presidents on overhead staff who need billable hours. Reputable firms do not hire college graduate with zero years of experience and bill them out as project managers to their clients. Unfortunately, such practice is more common than we think. There are many online advertisements placed by firms looking for college graduates with 0-2 years of experience to be “environmental consultants”. A good consultant has both the regulatory knowledge AND the ability to work cordially with the agencies. If you are hiring a consultant to obtain a permit for you, your consultant will be representing you before the agency. How he interacts with the agency staff will be a direct reflection on you and your company. A good consultant is the one who conducts himself professionally with the agency staff in order to obtain a permit on your behalf. This is where the rubber meets the road. One last point, when you are hiring consultants, make sure you hire the “right” size of firm to do the job. You do not want to hire a multi-national firm with offices in 35 countries to pull an underground tank for you. You want to hire a local firm with good references to do the job. 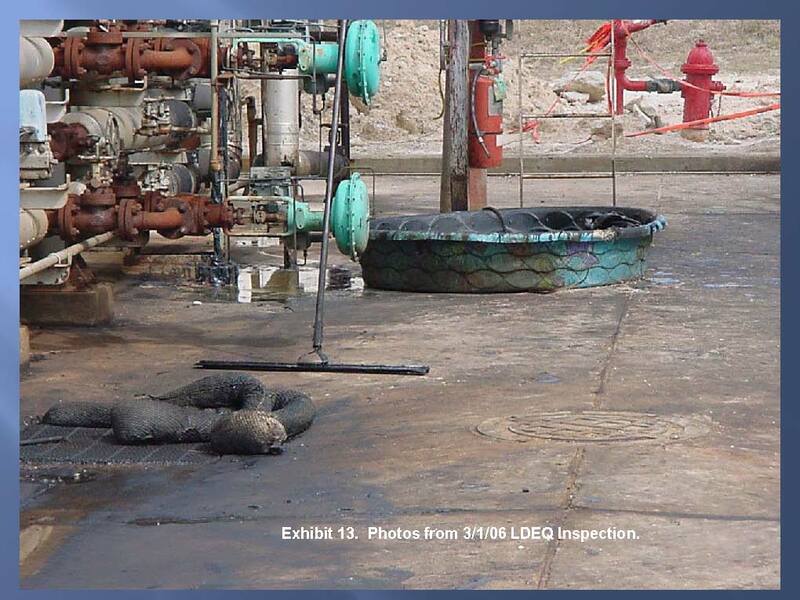 Soil remediation resulting from a leaking underground storage tank requires close working relationship with local regulatory agencies. You want to make sure your consultant understands the local regulations and has a professional working relationship with the local agencies. If you hire a big firm to do a small job for you, the big firm will most likely subcontract out your job to a local firm and add a 15-20% management fees to your cost. You will be better off hiring the local firm directly yourself. I have just completed my latest book “It is Simply All About Them”. It is a 205-page book on why some consultants are more effective than others. 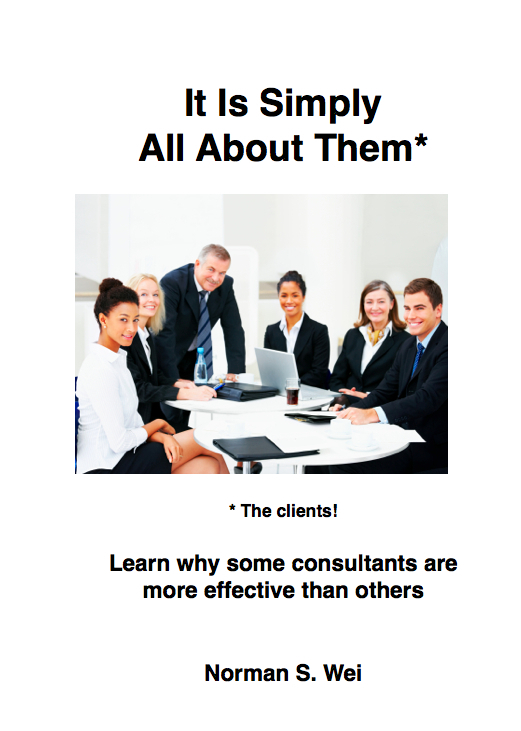 It is a valuable resource for consultants and anyone who plans on hiring a consultant. It is available on my website.